If you have obtained planning approval and require assistance in getting your project out the ground, brp architects are in the business of helping you do this. We have a proven track record of assisting clients realise the potential of their projects and we can help you do the same. In this recent conservation project brp architects were appointed, after Planning & Listed Building Consents, to develop the technical design, and to obtain Building Regulations approval on behalf of the client. Prior to the construction process, we approached several contractors and obtained prices from them to ensure the right quality of build could be carried out within the budgeted cost. Brp architects oversaw the construction stage to keep the build on target in terms of cost, quality and program. 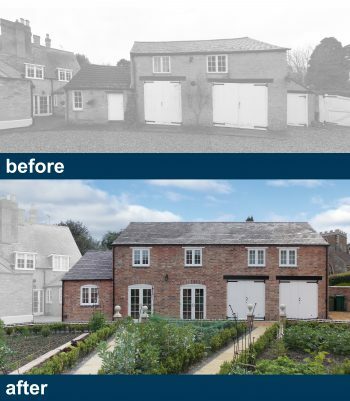 Before the existing coach house was demolished, and after it was rebuilt. Working closely with the client to develop the project specification, which included the desire for a bespoke staircase design, brp architects worked hard to co-ordinate all aspects of the proposal for the re-building of the Coach House. This included the appointment of a Structural Engineer and obtaining the input of specialist staircase fabricator DeMax. The project was tendered to a number of Local Building Contractors through a traditional tender process and the contract was awarded to local building contractor Brammond & Co, who executed the project to an excellent standard.. 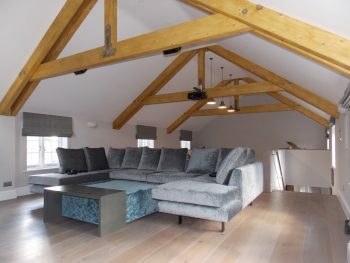 The construction process took approximately 12 months and included a courtyard garden that has been lovingly created by the client to compliment the Coach House, which, together with the overall quality of the main construction works, ensured the replacement compliments the listed Rectory to which it is connected. 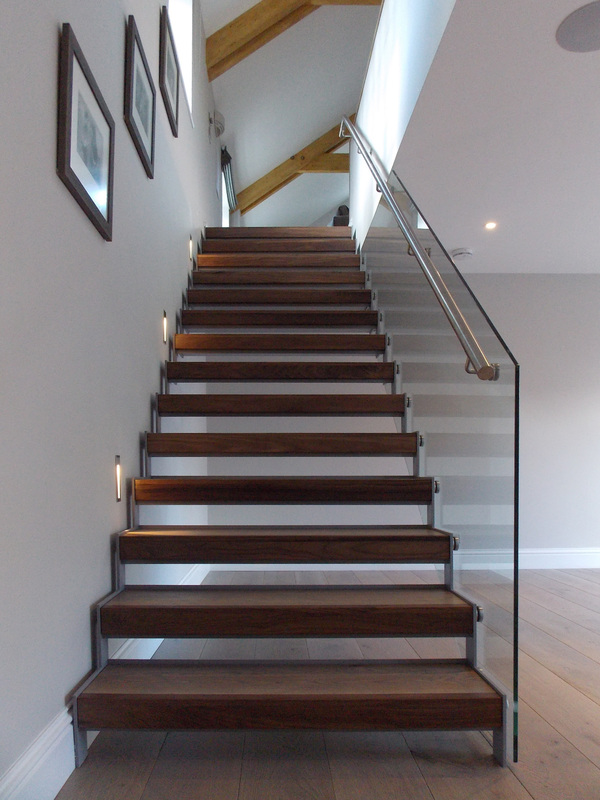 The traditional materials and attention to detail are a notable throughout, whilst the modern staircase and interior add further quality to the build. brp architects are well equipped to assist with traditionally procured conservation projects with a proven track record working in the field of conservation and Listed Building’s alike. Our client focus is central to our working ethos to deliver high quality results. Contract negotiation and Contract Administration requires a skilled and in depth knowledge of construction and the legal processes as well as excellent communication to deliver successful results and brp architects can offer a full or tailored service to suit client and project demands as required. We are comprehensively qualified to help deliver your traditionally procured conservation project from inception to completion. Our client feedback is consistently high, which is something we are very proud off and we look to add value to all of our projects at whatever stage we are engaged.